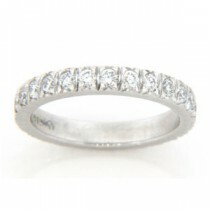 Our best-selling eternity rings with perfectly placed diamonds represent the unbroken circle of love. 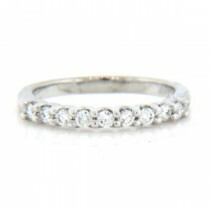 They adorn the finger completely with a ring of diamonds that sparkle ideally at every angle. Our extensive eternity ring selection includes channel, three-sided micropave, pave, four prong, and shared prong settings. 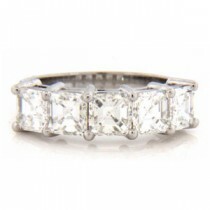 On our site, you will view eternity ring designs that you might never have imagined before, such as a circle of pear-shaped diamonds, handset either vertically or horizontally. Channel-set tapered baguettes also glisten beautifully in a circle of yellow gold, white gold or platinum. All of the handmade eternity rings can be tailored to diamonds you personally select, and they are available in various widths. Celebrate a wedding, first anniversary or birth of a child by giving this truly meaningful gift of jewelry. Our spectacular wedding and anniversary eternity ring selection features exceptional designs and the opportunity to customize a ring you’ll wear for a lifetime. 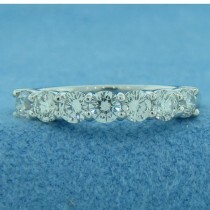 See our diamond tips to feel confident in your choices. 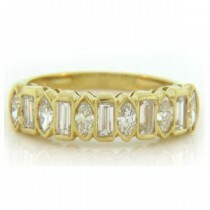 We set expertly cut, authentic precious stones in our diamond eternity rings. When you contact A. Fishman & Son, you’ll be working with the manufacturer. 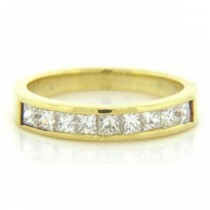 We make our own diamond anniversary and wedding eternity rings, secured in luminous settings. 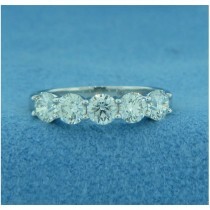 Choose rings that encircle the finger with brilliant round diamonds or that alternate two types of diamonds. 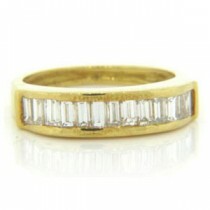 Baguettes are also featured beautifully in eternity rings. Emeralds, sapphires and rubies can be patterned with diamonds for a never-ending circle of beauty as well. 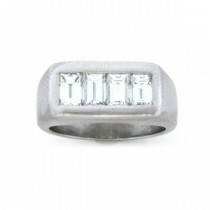 Slip a diamond ring on her finger to mark the moments of a life together. Remember, we offer the highest level of workmanship at the best prices.